First Offense TBD QB TBD QB TBD C TBD C TBD OL TBD OL TBD OL TBD OL TBD WR TBD WR TBD WR TBD WR TBD RB TBD RB TBD FB TBD FB Game date. 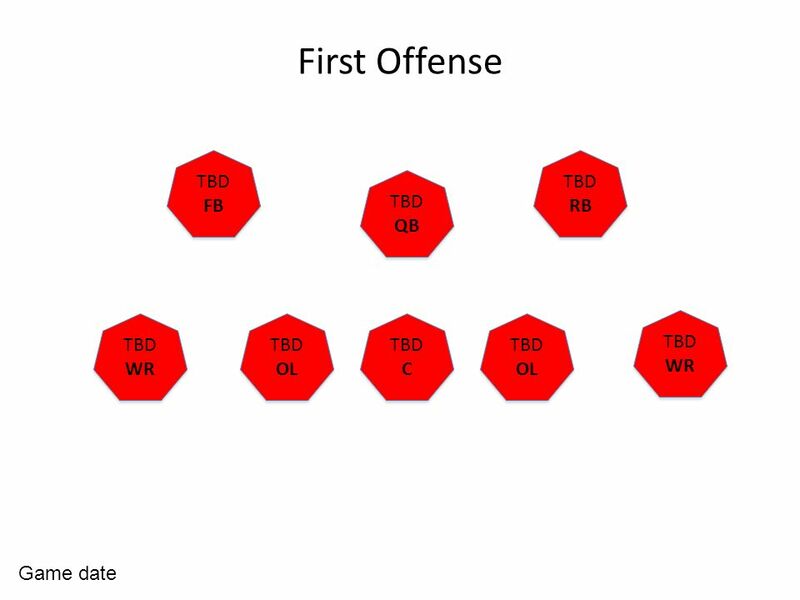 Download ppt "First Offense TBD QB TBD QB TBD C TBD C TBD OL TBD OL TBD OL TBD OL TBD WR TBD WR TBD WR TBD WR TBD RB TBD RB TBD FB TBD FB Game date." 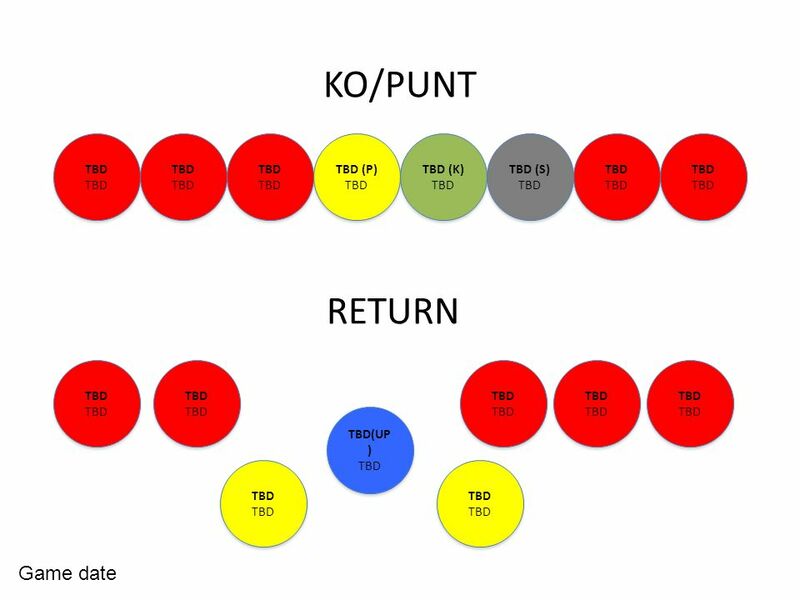 Philosophy, Techniques & Installation vs.
BASE - 2/4/2 DE ILB DE OLB CB OLB CB C C QB OL MANICKCB. 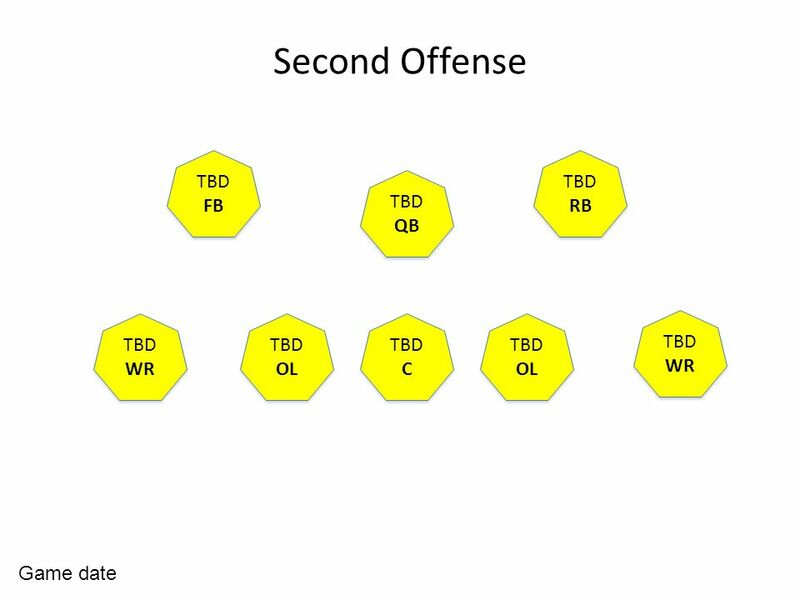 C TT WB QB RB nt tt olb cb Strong Left, SWEEP LEFT. American Football. The Field, Time of Game, and Players. After school intramural For grades 3-5 Includes PowerPoint and on the field training explaining rules and positions Click to Continue. WR/DB Bench 185 Squat 200 Clean 185 Total 570 RB/LB/QB Bench 210 Squat 225 Clean 185 Total 620 OL/DL Bench 225 Squat 330 Clean 225 Total 780. COACHES AREA Created September 3, 2012 Revised August 18, 2013 MBFO 5-Man Mechanics. COACHES AREA Created August 25, 2012 MBFO 6-Man Mechanics. Passage Retrieval using HMMs HARD 2004 University of Illinois at Urbana-Champaign Jing JiangChengXiang Zhai. Blocking Below the Waist 2012 By Eric Lewis, President Western New England Chapter of the EAIFO Click to continue. 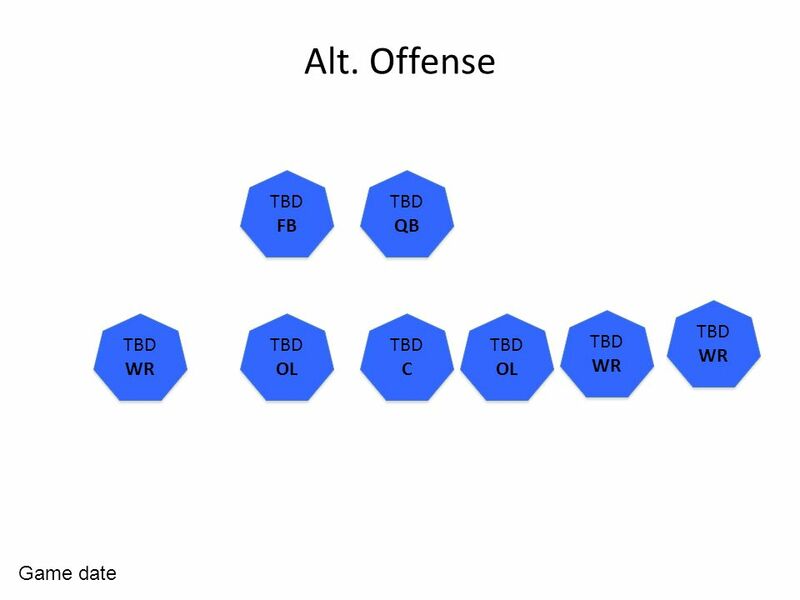 UW-Platteville Football 3-4 Defense Pressure Stuffing Inside & Perimeter Run Game Tom Watts. APA FOOTBALL LIVES HERE GAME ONE FRIDAY NOVEMBER 20 TH vs. 2:30PM APA - EAGLES (0-0) HAAAT – GECKOS (0-0) “A school without football is in danger.